About 1 Week, 5 Days, 22 Hours, 1 Minute ago. MPs have said bailiffs should be regulated to stop them breaking rules and even the law to collect debts. 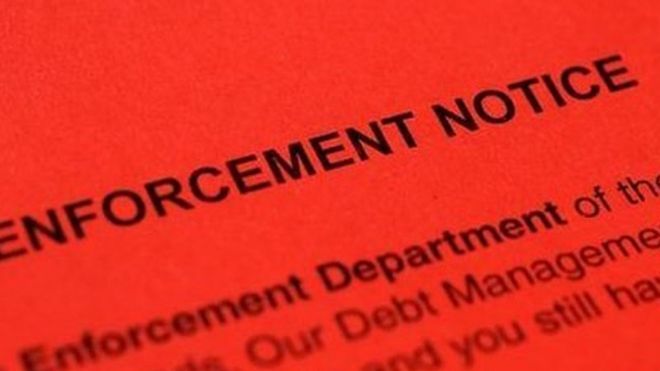 Charities have reported a dramatic rise in cases of bailiffs using intimidating behaviour, threatening to break into homes and in some cases even doing so. The Parliamentary Justice Committee says a regulator is needed to ensure that people in debt are treated fairly. Justice Committee chairman Bob Neill said: "We were surprised that no regulator is already in place. "The system is confusing, particularly for the most vulnerable people in society. Complaints are important and must be investigated properly."